Soon, the Ultimate Driving Machine will become exactly that, an ultimate driving machine. 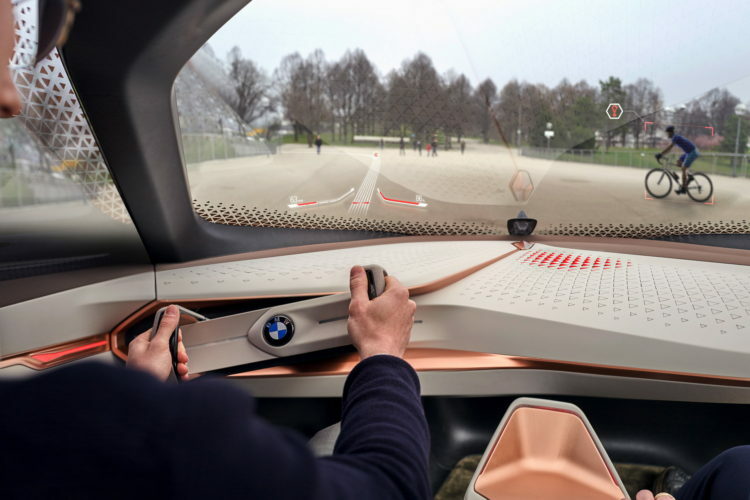 BMW is working incredibly hard on developing the future of autonomous vehicles, capable of driving themselves without the need for human interaction. While BMW boss Harald Kruger recently said that there will never be a BMW that isn’t capable of being driven by a human, the brand is still hell-bent on being one of the world leaders in self-driving cars. This isn’t necessarily a new development, though. Back in 2006, a BMW 3 Series lapped Hockenheim on its own. So the Bavarians have been dabbling with autonomous vehicles for over a decade. But that was only just the beginning. In 2011, BMW was testing self-driving cars on the A9 Motorway in Germany. In 2014, the Bavarians showed off an autonomous drift machine that was capable of holding perfect drifts all without the need for a driver. In 2015, BMW showed off a self-parking BMW i3 at CES and followed that up with Automated Gesture Control Parking of an i3 in 2016. 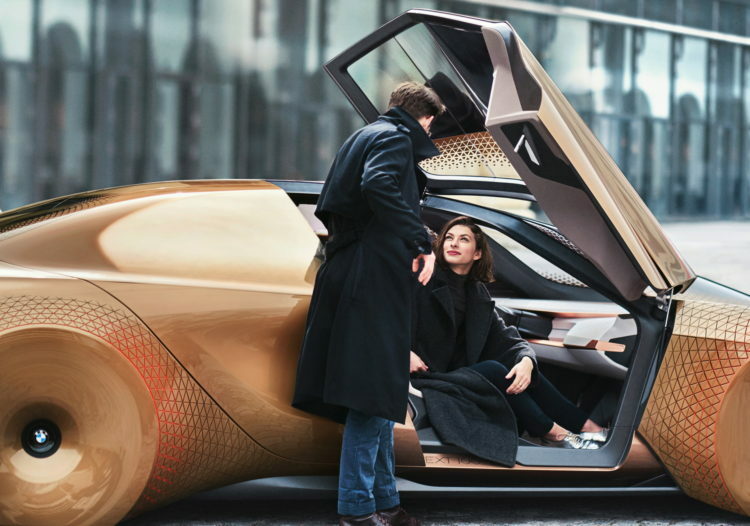 BMW is now working on having a Level 3 autonomous car by 2021, the BMW Vision Next 100 Concept. There are five different levels of autonomous driving. We’re currently at Level 2, which is basically just the use of automated driver assistance systems. For instance, the current BMW 5 Series’ automatic cruise control and its ability to steer itself on highways for short periods of time. In Level 2, the driver is never actually relinquishing control of the vehicle to the vehicle itself, but simply allowing systems to aid the driver. The driver is responsible for the car at all times, even with the systems switched on and actively working. Level 3 is where BMW wants to be by 2021. There, the driver and the car can actually split the responsibilities under certain circumstances. During highly automated driving in traffic that is moving in the same direction and is segregated from oncoming traffic, the driver will be able to take their eyes off the road and relax for brief periods of time. However, the driver must be capable of retaking control at any given time, within a few seconds of being prompted by the car to do so. So no sleeping and no getting in the back seat. In Level 4, the driver only needs to take control under extremely tricky situations that the car cannot understand, or in really rough weather. Though, under most normal circumstances, the driver could sleep if they wanted. If the car does recognize anything fishy that it doesn’t know how to handle, it will prompt the driver. Though, the circumstances in which that would happen are few and far between. As for the top Level 5 autonomy, neither a steering wheel or pedals are required to be present in the vehicle. Kruger previously claimed that there will never be a BMW without such things, as BMW’s will always be capable of driver interaction. Though, in such a Level 5 car, drivers technically won’t even need a driver’s licence. In cars with steering wheel and pedals, such as future BMWs, the driver can take over whenever they choose, though they’d never be obliged to do so. To make all of this work, these BMWs will be fitted with a massive array of laser scanners, which will measure the shape, distance and speed of everything around the car, along with a suite of other sensors and cameras. All of these systems will work together to create a digital map of the car’s surrounds, where it can go and where it can’t. This will allow the car to determine what to do, when to do it and how to do it. None of those sensors will mean much without some for of artificial intelligence, though. At the moment, BMW is working together with Intel and Mobileye to create an artificial intelligence system that can read and understand all of the information its sensors and cameras and create. There’s an enormous amount of data that has to be broken down and understood and without artificial intelligence, there’s no way the car could read all of that data and react in time. BMW is also using artificial intelligence to create more high-definition mapping and real-time dynamic content, such as traffic information and temporary obstacles. It’s a scary new world, a world where cars will be able to drive themselves and run on a network powered by artificial intelligence. It’s the sort of stuff we see go haywire in sci-fi movies. While Blade Runner or The Terminator will likely never happen, we’re certainly headed for a highly automated and highly advanced future of mobility. And BMW wants to be right at the forefront of it all.